I’m back on the Literary Sofa after a lovely Easter break in which I got to spend some time with my sons (to my great relief I didn’t have to nag my eldest to revise for GCSEs – apparently a month before is a reasonable time to get your act together). It ended with the whole family spending a fantastic long weekend in Barcelona. I want to write one of my travelogues about the trip but have decided to wait until next week because I returned home bursting with inspiration for my new book. (Travel often has that effect on me.) Naturally I had to rush to capture it all on paper – if only every day was as productive as the last three! Anyway, something exciting happened while I was away from the Sofa: the launch of the WoMentoring Project, brainchild of the talented and super-dynamic novelist Kerry Hudson (of Tony Hogan fame – her new novel Thirst is out this July) and many other big names from the literary world. Hundreds of people have blogged and tweeted about the project which exists to provide free mentoring by women authors, agents and editors to newer women writers who don’t have the means to pay for the kind of support which can make such a difference in the early stages of a writing career. Not surprisingly applications have been flooding in and everything you need to know is on the website. I am a minnow in the pool (if that) but I’m delighted to be part of this initiative and here’s why. At a key point I had my manuscript professionally edited which turned things around for me (after I’d rewritten the book!) It was a big investment which was worth every penny in the end but even at the time it really bothered me to think that many writers wouldn’t have that option and that their chances of getting published would be affected. We all need help along the way, and it comes in various forms. If you look at my bio, you may well think, ‘Oh, typical writer background’. I don’t like slapping labels on books and I’m even less keen on putting them on people. We’re all individuals and I believe a writer’s breaks should ideally be based on whether they have a good story and a good way to tell it, not about class or background and certainly not ability to pay for them. But as with so many things, luck often plays a big part and so do the generosity, support and encouragement which are priceless because they are freely given. My grandfather was born in Tipperary in 1901, one of ten children. Like many of his siblings (who ended up in the States and Australia) he took the boat over to Liverpool in the early 1920s and made his way south to Wiltshire where he met my grandmother – it’s sad that I never knew either of them. They were both in service at a big house owned by Sir Frederick Preston. My mother, the eldest of their seven children (followed by an ‘Irish twin’ not a year later) was a quiet, serious child but someone at the house saw something in her and asked her if she’d like to use their private library. Suddenly she had access to acres of leather-bound classics which she had permission to borrow. It is not an exaggeration to say this changed my mum’s life, not to mention the way it later influenced mine. She went to Bristol University in the 1950s which was very unusual for someone of her humble background and spent a year at the Sorbonne in Paris. My parents were the most unlikely match, who’d met as teenagers in the village where I grew up (this photo was taken in 1960, when my brother was a year old). My mother was a devout Catholic who studied the bible, read Proust and became a French teacher; my dad had left school barely able to read and write and spent his working life as a long-distance lorry driver. It was a bloody hard way to earn a living. We three kids were brought up to be terrified of debt and I was very lucky to go to college back when there were means-tested full grants or I simply wouldn’t have gone at all. I am grateful to my mother for my love of languages and books, my desire to write and for pushing me to get the education she’d had to fight for (yes, some told her people like her didn’t go to college). I am grateful to my father for showing me that a person’s worth has nothing to do with their status, bank balance or the letters after their name. And I am grateful to Sir Frederick Preston’s family for knowing that, and for their kindness in opening not just their library to a timid young servants’ daughter, but a whole world. Who’s made a difference to you? Like most writers, I am fortunate to have the support of many amazing people. Here’s my WoMentoring profile – if you’re a new female writer in search of a mentor and think I might be the right person, I’d love to hear from you via the scheme, and thanks to those who’ve already applied. UPDATE – September 2014 – After a very enjoyable first experience mentoring through the project, I am now accepting applications again. A lovely post, Isabel – and what a fascinating story! I’m sure you could use this in fiction (if you haven’t already!) The WoMentoring project sounds an absolutely wonderful idea, and I wish something like that had been around a few years ago when I was struggling to get started. I put myself in significant debt in order to do a writing MA, but was also lucky enough to be awarded grants to help towards the cost of residential writing courses at Arvon, and both these things gave me a massive boost in my development as a writer.Good luck with the project – you’ll be a wonderful mentor! Thanks so much Susan – your success has certainly been an inspiration to me! As for my own family history, I reckon I could write a bestseller tomorrow if the subject wasn’t off limits! Some things you just have to steer clear of but of course bits of it creep in, as well as affecting who you’ve turned out to be and I think that affects everything we write. Thanks Helen. Writing this made me quite emotional, especially digging out that picture of my mum and dad, as my dad died a long time ago. What a fantastic post and what a story. I’m from a working class background – I’m the only person in my family to have been to university, thanks to my mum who wanted to make sure I had the opportunities she didn’t. Like Susan, I put myself into debt to do an MA and now I’m grinding away hoping that one day I can justify having done it. 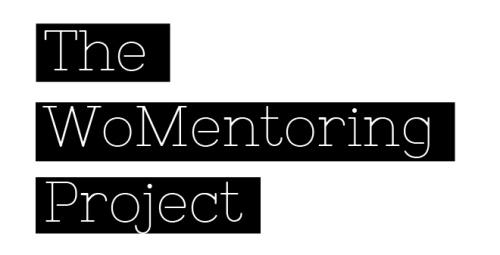 All our stories are why I think this scheme is so brilliant – professional mentoring for free is exactly what’s needed to help others get that first step on the ladder. There are so many barriers to women in particular and anything that helps break those is worth supporting. Here’s to more women having great stories to tell. Lovely post, Isabel, and somehow the image I now have of your parents is of your Dad reading Proust in traffic jams – that’s not to belittle the upbringing you had. We never had much spare cash (four daughters growing up in the 70s to a teacher and part time nurse didn’t leave much spare) but I never worried personally for debt, I’m happy to say. Anyway, you’ve emerged proud and smiling which is all any of us should hope for – I agree, I can’t bear the need for status and bank balance. I didn’t realise you were involved in WoMentoring. You’ll be fab! I am still here Isabel,watching as you grow as an author and a super TODAY woman. This was a fantastic post. I will have to read it again and think more about mentoring..I have had a few mentors along the way..mainly in photography,and what struck me about it all was the generosity of time,spirit, and no holding back..they shared everything. Best to all and will be writing soon…I read your every post! Fyi,Provence Sept 12 to Oct 8…..12-19 on my own….. I actually got chills up my spine, reading about your grandparents and parents and how hard they worked to raise their family, and to get to the point that YOU could be all you want to be. Yes, you definitely have an entire book in this blog post! Fascinating. Thanks so much, Pam. 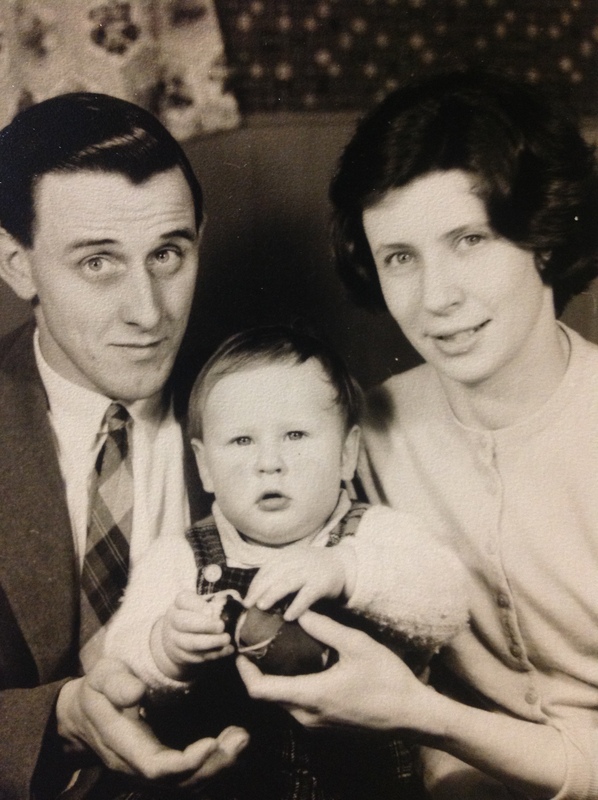 My mum is elderly and in very poor health these days and it was a good, if quite painful, thing to take stock of the valuable thing she brought to my life, and also to remember my father, who was very different but also gave me so much. I always love family stories – you’re good at telling them too! I can relate so much to all of this, Isabel. I’m “working class” and we were pretty poor when I was growing up. But we did have plenty of second hand (jumble sale mostly, I think!) books at home. Later, I was lucky enough to do my OU degree (including their creative writing courses) before the fees became astronomical. The Womentoring Project is something I’m excited to be part of, and if I too can help a writer along their way, I’ll be thrilled. Thanks Louise for your kind words both here and on Twitter. It seems a lot of us can relate to the need for the project and I’m sure whoever gets you as a mentor will realise how lucky they are!